The index opened positive around 7050 and stayed in a narrow range till budget presentation, but saw huge swing of more than 268 points for the day and closed below 7000 at 6987.05, loss of 42.70 points. The broader market was negative with 640 advances to 872 declines. The range stays at 6800-7500. Call option 6700-7700 added huge 46.64 lacs OI. 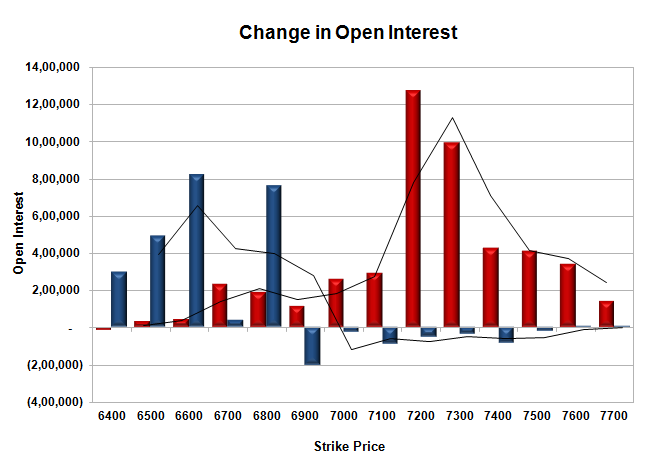 Put option 6800-6400 added huge 24.09 lacs OI with short covering seen at 6900 and above strike prices. Nifty Open Interest is at 1,80,51,750 down by 4,49,100, with decrease in price, most probably huge long liquidation. 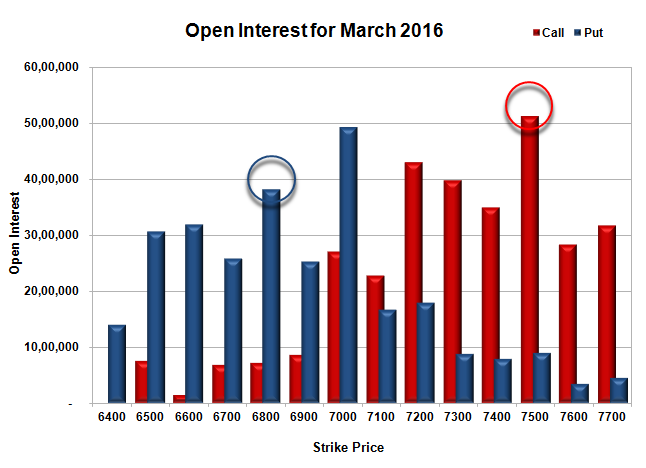 Bank Nifty Open Interest is at 22,05,240 up by 54,180, with increase in price, most probably long build-up. FII’s bought 3.33 lacs Futures, which includes net 806 contracts long liquidation and 14115 contracts short covering, with decrease in net OI by 14921 contracts, includes 69309 longs to 56000 shorts for the day. FII’s Index future open contract as on date is 91943 Longs to 130138 Shorts, Net -38195 up by 13309 contracts. 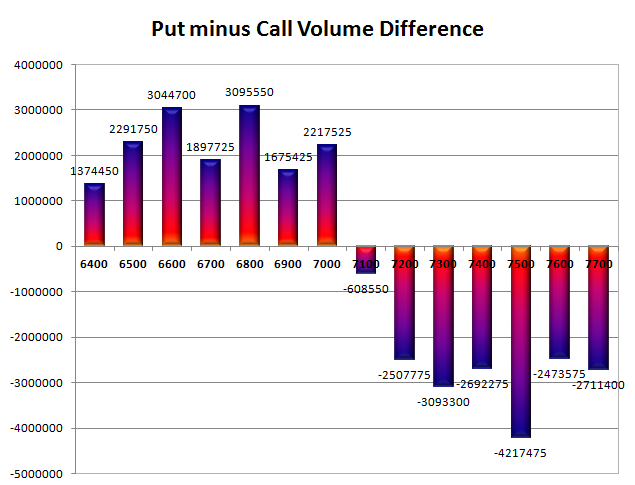 Initial and best support stays at 7000, with OI of 49.35 lacs and below that at 6800 with OI of 38.21 lacs. Initial resistance at 7100, with huge OI addition of 2.90 lacs and above that at 7200 with OI of 43.04 lacs. 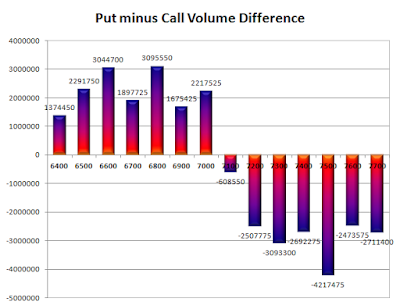 Day Range as per Option Table is 6878 - 7071 and as per VIX is 6913 - 7061 with 6969 as the Pivot.